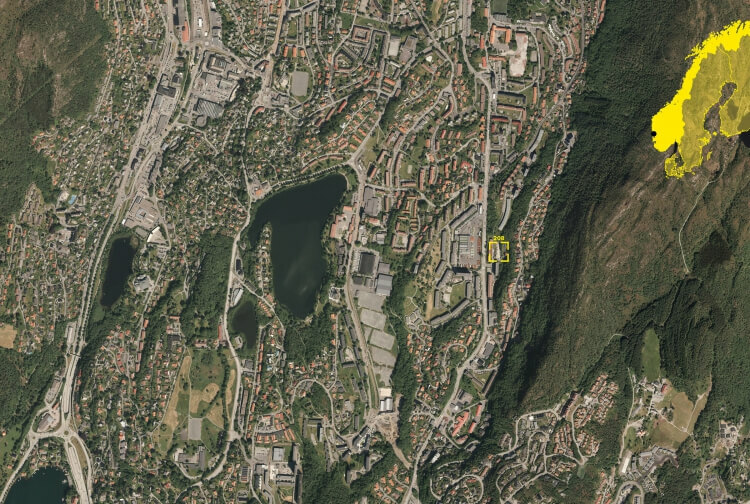 The project followed a study on parking-conditions for a housing cooperative in Nattlandsveien, a suburban area in Bergen. The result is a curved structure over two floors, well embedded in the existing terrain. The concrete construction is completed by facades with bright blue PVC pipes, allowing plenty of natural ventilation. The pipes form a balustrade on the upper level, which picks up on the sloping terrain and adds a new level to the outdoor area.The building creates gaps, pathways and meeting points in the terrain and it provides a new interesting facade to this housing cooperative.